An almost hysterical antagonism toward the gold standard is one issue which unites statists of all persuasions. We talk about Lyft (Nasdaq: LYFT) as a symptom of Bubble Finance in the April issue of The Stockman Letter. It’s also a manifestation of Peak Trump. Lyft lost nearly $1 billion in 2018. Still, upon its initial public offering (IPO), LYFT was priced at $72 per share. Its market capitalization was $24 billion. That IPO came quick on the heels of Federal Reserve Chair Jay Powell’s total capitulation to Wall Street, Bubblevision, and the Tweeter-in-Chief. 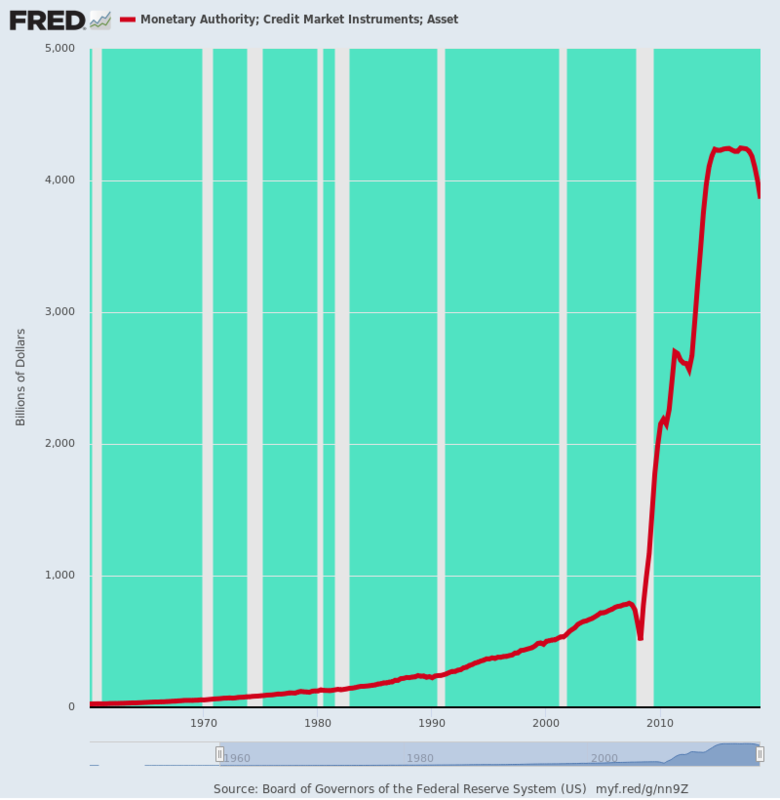 And it highlights again that a posse of monetary central planners has been given unrestricted access to the most dangerous economic weapon known to mankind: a state-sanctioned monopoly on counterfeit credit. LYFT was up as high as $88.60 on March 29, the day it started trading on the Nasdaq Stock Market. As of midday April 11, it’s at $61.44. It’s been as low as $59.75, on Wednesday, when it slid as much as 14% from Tuesday’s close. Now comes Uber, Lyft’s bigger, even more ridiculous rival. As the Wall Street Journal reports, Uber is looking for an initial public valuation of $100 billion. And that’s down from prior forecasts of $120 billion. It plans a per-share offering between $48 and $55. That’ll give it another $10 billion or so to burn. Uber lost $2.2 billion in 2017. It improved to a $1.8 billion loss in 2018. Central bankers have always been dangerous. During the gold standard era, their latitude was sharply constrained by the ability of investors to dump the currency and demand gold. So, the prospect of immediate adverse repercussions in the banking system and interest rate markets enforced a steady discipline. Even after Nixon closed the gold window at Camp David in August 1971, central bankers still believed their job was about Money – its supply, value, and integrity. Fed chairs of that era – Burns, Miller, and Volcker – all tried different policy models and operating tactics. And they made numerous errors in the process. Nevertheless, their central focus was maintaining the purchasing power of the dollar. That meant minimizing inflation without sending the economy into the recessionary drink. They pursued sound Money. They were possessed by principled opposition to debt monetization. And the danger of a central bank-fueled runaway asset-inflation spree on Wall Street was minimal. And then came the great pivot on the road to Bubble Finance. Fed Chair Alan Greenspan – on the job about two and a half months at that point – opened up the printing presses full throttle. He also sent his henchmen out to bully Wall Street dealers into stopping the liquidation of their underwater trading inventories. And they pushed Corporate America into a huge, semi-coordinated stock buyback spree. Greenspan’s only purpose was to quell the panic and keep the Republican administration in the good graces of the electorate. But the power of the printing press and the adulation it generated paved the way to something far more insidious. By May 1989, the S&P 500 Index had fully recovered from its 30% peak-to-trough plunge… And the “Maestro” was off on what became his 19-year mission. That’s the pursuit of a “wealth effects” doctrine he’s pleased to rationalize as a post-Bretton Woods proxy for the gold standard. It’s as preposterous as it sounds: Greenspan took the world’s leading central bank in the exact opposite direction of gold-standard discipline. He rationalized the Fed’s new interventionist policy and massive debt monetization. Preservation of sound Money soon gave way to micromanagement of Economy. The Fed become more and more invested in and entangled with gross domestic product and all its major components, helped by elastic Congressional mandates on inflation and full employment. The slide into full-fledged monetary central planning was underway. And it’s made the Maestro and his acolytes the toast of both Wall Street and Imperial Washington.